The California stem cell agency today unveiled its plan for spending its last $900 million, calling for 50 new clinical trials and an increasingly hard-eyed focus on turning earlier stage research into therapies. Between now and 2020, the agency’s strategic plan budgeted $620 million for clinical and translational research compared to $170 million for more basic efforts. The California Institute for Regenerative Medicine (CIRM), as the $3 billion agency is formally known, is projected to run out of funds for new awards in 2020. It is unclear what if any cash can be raised from either public or private sources. However, Thomas is scheduled to discuss future funding prospects at the board’s Dec. 17 meeting in Los Angeles. The translating center will be located at a single enterprise and be charged with development of cGMP compliant cell manufacturing processes, providing “core services” leading to FDA investigational new drug applications and coordinating with the FDA and the accelerating center. The accelerating center will also be located a single enterprise that has stem cell-specific regulatory expertise. It will provide support for clinical trials in an effort to accelerate the regulatory process and conduct of clinical trials. Over the past six months or so, Mill has repeatedly made the case for capturing promising early research and ensuring that it has a clear pathway to clinical trials and ultimately into the market. The plan additionally sets concrete standards for measuring the agency’s performance as well as each team’s performance within the agency, including such specifics as the percent of application reviews held as scheduled and percent of projects that advance to the next stage. The proposal is set for discussion and action at the directors’ Science Subcommittee meeting next Monday and goes to the full board on Dec. 17 for final approval. The meeting will be based at CIRM's new headquarters in Oakland with remote, teleconference locations for the public in San Diego and Los Angeles. Specific addresses are on the agenda. While the plan is called a draft, it is not likely to undergo significant changes. However, interested parties can weigh in with comments by emailing them to CIRM at this email address kmccormack@cirm.ca.gov by 5 p.m. Dec. 3. 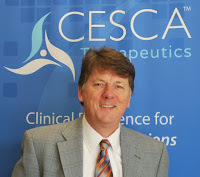 The Sacramento Bee today carried a story taking a longer look at Cesca Therapeutics, Inc., its travails with the California stem agency and the firm’s application for $11 million to help finance a phase three clinical trial. The freelance article was written by the publisher of this blog, David Jensen. Here is the full text of the story. 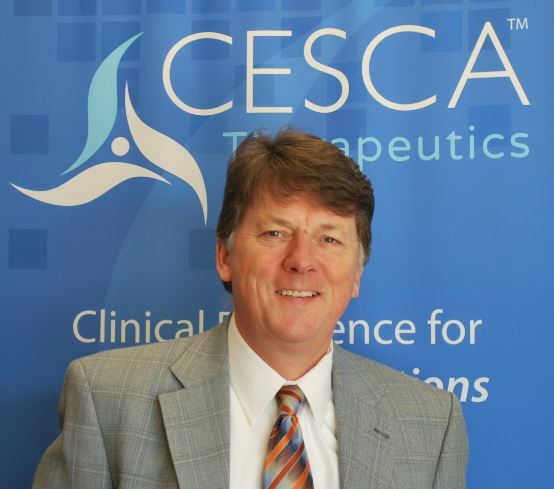 The stock price of Cesca Therapeutics yesterday plummeted about 50 percent after it reported bad news about its application for $10 million from the California stem cell agency. The stock closed at 30 cents a share in relatively heavy trading, compared to its close of 59 cents the previous day. Over the last 52 weeks, the stock has ranged from 29 cents to $1.24. On Monday, the company, which is based in the Sacramento suburb of Rancho Cordova, announced that it had withdrawn its application from the $3 billion state-funded agency until it assessed critical reviewer comments. Cesca’s proposal involves a roughly $20 million, phase three clinical trial to test a product aimed at critical limb ischemia. The firm had raised financing for the trial that was contingent on CIRM approval of a grant. Directors of the California stem cell agency are scheduled to meet Thursday to reject a $6.8 million application to finance late stage research to develop a therapy for Parkinson’s Disease. Twelve of the agency’s blue-ribbon, scientific reviewers last month voted unanimously against the proposal, declaring it was “flawed” and should not be resubmitted to the agency. Directors of the agency almost never overturn negative decisions of its reviewers. This week’s meeting focuses unusual attention on the application. It is the only one scheduled to be considered at the meeting, which is part of the fast-track funding efforts this year by the stem cell agency. In the past, final approval or rejection of applications usually involved a number of applications. Reviewers’ decisions against funding have been rubber-stamped with no discussion. Scores on the rejected applications were not disclosed. One of the goals of the agency’s “CIRM 2.0” effort, in addition to speeding funding, is to improve grant applications. It may well be that the agency is attempting to reinforce, via the application review summary, its message to researchers to step up the quality of their proposals for millions of dollars in taxpayer support. The review summary found considerable fault with the rationale of the proposal. It said the data presented was “insufficient.” The dosage involved was “not clearly described.” Timelines may be “unrealistic,” the document declared. The name of the applicant was not disclosed in keeping with the agency’s longstanding practice of withholding such information. Responding to a question, an agency spokesman said the application came from an academic institution. One Parkinson’s researcher who has been mentioned in the news in recent months, Jeanne Loring of Scripps, told the California Stem Cell Report that the application did not involve her. The rejection would be only the second in the CIRM 2.0 program, according to Kevin McCormack, senior director of communications for the agency. The public can weigh in on any subject during Thursday's meeting at teleconference sites in Beverly Hills, San Diego, South San Francisco, Napa, Irvine,, Los Gatos, Elk Grove, Redwood City, San Francisco and two in Sacramento. Specific addresses can be found on the agenda. In a refreshing bit of candor, a California regenerative medicine firm yesterday said it was having little luck with its funding pitch to the state’s $3 billion stem cell agency and was withdrawing its proposal. The firm is Cesca Therapeutics, which is based in the Sacramento suburb of Rancho Cordova and also has offices in India. The publicly traded enterprise researches and develops cell-based therapeutics. "We feel compelled to revisit those elements of our plan that appear to have given CIRM reviewers cause for concern. "Given that we are in the process of gearing up a significant number of sites to begin enrolling patients in a trial that would cost over $20 million to conduct, we need to quickly digest the feedback and address the questions raised. We expect to spend the next several weeks re-validating and/or amending select elements of our plan, with a particular focus on the anticipated rate of patient enrollment, the overall timetable and the design of the statistical plan. Having said that, we remain very excited by the prospects for our program. We believe the science to be sound and the clinical results so far very compelling. Nevertheless, there may be opportunities to refine our approach. It is imperative that we get it right." The decision by Cesca fits with the CIRM 2.0 effort launched by Randy Mills, president of the California Institute for Regenerative Medicine (CIRM), as the stem cell agency is formally known. Mills initiated the program in an effort to speed money to researchers and to boost the quality of applications. That means that applications are examined rigorously early on and often sent back for more work, a significant departure from past practices. It is unusual for publicly traded companies to announce financial difficulties involving their projects, even though federal law says public firms must disclose major financial events that investors should know about. The review process at CIRM is conducted behind closed doors. The agency does not release information about issues raised at this stage and also withholds the names of applicants for taxpayer cash. The firm’s stock price closed at 59 cents today, up six cents. The 52-week range runs from 48 cents to $1.24. 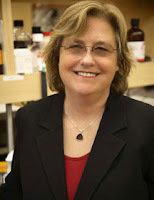 Jeanne Loring, head of the stem cell program at the Scripps Research Institute, last week was named Stem Cell Person of the Year. The award was made by UC Davis researcher Paul Knoepfler, who funds the $2,000 prize personally. Loring, however, has declined the cash, and Knoepfler is looking for a cause to donate the money to. 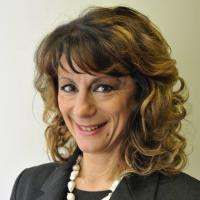 “Jeanne came out as the winner for her exceptional contributions in 2015 and throughout her many years in the field. She not only has made numerous advances scientifically, but also gone the extra mile in many respects as an advocate and educator. “Her scientific contributions include outstanding research on human stem cells and in particular in stem cell epigenetics. See her publications on GoogleScholar. She has been a great mentor to her trainees. You can visit her lab page here. “She has also been a creative leader in producing IPS cells from endangered species, an area with huge potential ecologically and at a societal level in terms of preventing extinctions. If that gives you pause, consider the Daily Beast’s next two paragraphs. “It wasn’t what President George W. Bush had in mind. In 2001, Bush restricted the use of federal funding for embryonic stem cell research, giving conservatives what looked like a major victory in the nation’s culture wars. Bush’s restrictions created the justification for California to march -- on its own -- into the wilderness of stem cell research 11 years ago this month. Absent Bush's actions, there would have been virtually no perceived need for the state to embark independently. “Last year the institute had 10 programs in clinical trials, but expects to have 20 by the end of this year. “Despite the improved national (stem cell research) climate, states, both for economic and scientific reasons, have continued to fund their own programs. NIH lists initiatives in six states, not counting Minnesota, and other reports have suggested that as many as 15 states either have dedicated programs or fund stem cell research or did so in the past. The 12 finalists for stem cell person of the year have been announced by a UC Davis stem cell researcher who sponsors the contest and funds its $2,000 prize. 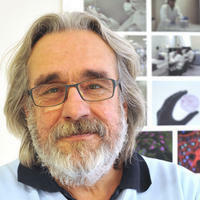 Nearly 4,700 votes were cast with the team of Michele de Luc­­­­a and Graziella Pellegrini of the University of Modena garnering the most support – 1,159 votes. Coming in second with 1,014 votes was Jeanne Loring, head of the Scripps stem cell program. Knoepfler expects to post more information on the selections sometime soon. You can advise him about your views through links on his Web site, The Niche. By the beginning of next month, California’s $3 billion stem cell research effort expects to be safely ensconced in its new headquarters in Oakland, once the stomping grounds of author Jack London and actor Tom Hanks and still the home of California Gov. Jerry Brown. The move will cost about $1.8 million, according to the agency, which says it will save money over the long term compared to staying in San Francisco, across the bay from Oakland. The cost of office space in San Francisco is soaring, fueled by tech firms awash in cash. The California Institute for Regenerative Medicine (CIRM), as the agency is formally known, has enjoyed a rent-free, 10-year stay in what is now a sizzling real estate location in San Francisco. The agency’s offices were provided as part of an $18 million package offered by San Francisco, which was competing with other cities in California. Figures in Bonneville’s email show that the move will cost an estimated $1.8 million, including $828,300 in tenant improvements. The landlord will pay an additional $891,520 for the improvements, which will total about $1.7 million. The next largest expense in the move, scheduled for the Friday after Thanksgiving, is $371,043 worth of new furniture. Bonneville said the existing furniture, again donated, is 10 years old, not ergonomic and will not fit in the new space, which totals 17,000 square feet instead of the current 19,500. Some CIRM staffers will be losing their offices. The new space is slated for only 12 private offices compared to 39 at the current location. “Indeed, even at $75 per square foot for our current space, in the first year alone, CIRM will save approximately $1 million in rent ($501,569 in Oakland compared to approximately $1.5 million (19,500 sq. ft. x $75). The agency has space on two floors of a building at 1999 Harrison Street with the lease on the 15th floor running three years and five years on the 16th. The agency is currently projected to run out of funds for new awards in 2020 and may see its current budgeted staff of about 55 shrink as that year approaches. Capturing the headquarters of California’s world-renown stem cell agency is a nice score for Oakland. It has long been a poor cousin to San Francisco, lacking the glitter and romance of the city that was once known as Baghdad-by-the-Bay. No one sang about “losing their heart" in Oakland, as Tony Bennett has famously done about San Francisco. at the lower left of the map. 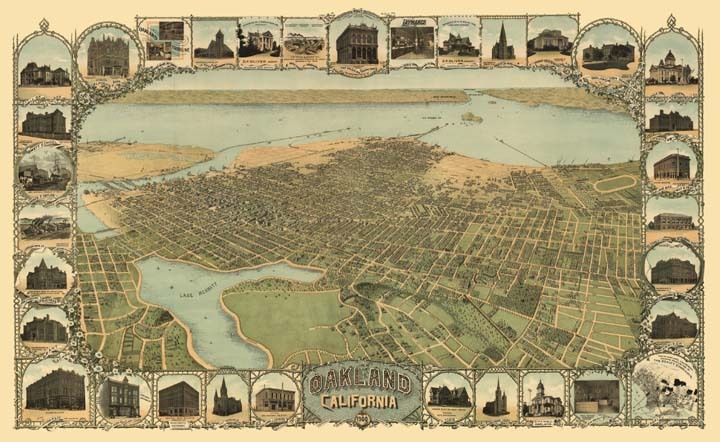 But Oakland has its share of stories, famous personages and interesting history. Huey Newton, a co-founder of the Black Panthers, grew up in the city, along with Ed Meese, former U.S. attorney general and close advisor to former President Reagan. Clint Eastwood had his roots in Oakland in addition to Tom Hanks. Jerry Brown was mayor of Oakland for eight years. He still has his voting residence in that city. The site of CIRM’s new offices on Lake Merritt was once an important location for the Huchin tribe, which lived there for thousands of years. Rocky Road ice cream was created in Oakland in 1929. During World War II, the city was an important shipbuilding and food processing hub. The mai tai cocktail was first concocted in Oakland in 1944, according to Wikipedia. Misconduct by the Oakland police department led the city to pay $57 million from 2001 to 2011 to alleged victims, the largest sum of any city in California, according to local television station KTVU. Today the city is the home of Golden State Warriors, the National Basketball Association champions, who have played there since 1971, eschewing, however, the designation of “Oakland Warriors.” The Warriors are scheduled to leave Oakland in 2018, taking up residence in a $1 billion, combined basketball palace/commercial development, ironically only a short distance from the current offices of the stem cell agency. Some UC San Francisco scientists and others oppose the development because they fear it will push out biomedical enterprises now in the area and deter others. As for Jack London, a section of Oakland bears his name. 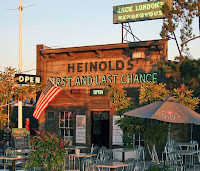 As a boy, Jack London “studied” there in a saloon called the “First and Last Chance,” according to legend, and drank there, presumably when he was a little older. The stem cell agency had its first chance in San Francisco to develop a commercial stem cell therapy. 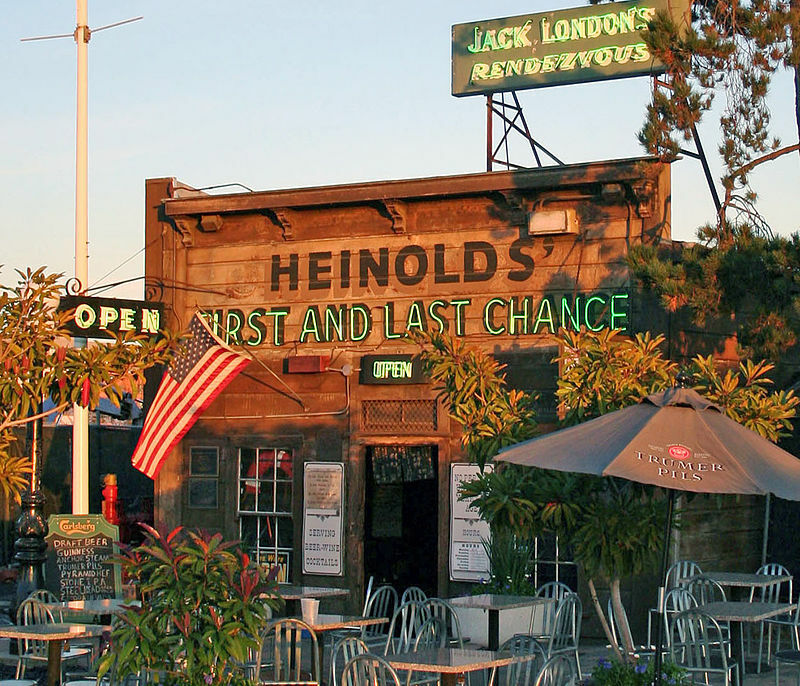 Now, its last chance may be in Oakland, only about a 30 minute walk from Jack London's waterfront watering hole. Here is the text of the response from the California stem cell agency concerning the specifics of the move of its headquarters later this month from San Francisco to Oakland. The information was provided by Maria Bonneville, director of administration for the California Institute of Regenerative Medicine (CIRM), as the agency is formally known. 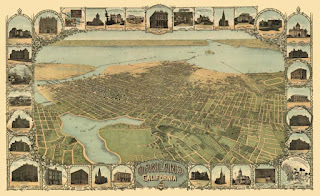 “In response to your questions about CIRM’s new office space, we’ve provided detailed information below about CIRM’s search for new offices, our decision to move to Oakland, and the estimated costs of the move, including our decision to purchase new furniture. We’re excited about the opportunity to move into space that is designed both for quiet work and collaborative efforts. “In 2005, CIRM selected San Francisco as its headquarters. San Francisco’s offer included ten years of free rent (including operating costs), free tenant improvements and furniture, and numerous other amenities, including discounted hotel rooms and free meeting sites with a value estimated at $18 million. CIRM has saved more than $12 million on rent alone, but like all good things, CIRM’s free rent will come to an end when our lease expires on November 1, 2015. Given the cost of remaining at our current location, we had no choice but to move. “As a result, we began searching for new office space at the beginning of the year in the midst of a construction and commercial real estate boom. CIRM’s goals were to minimize disruption and expenses. CIRM’s team, led by Senator Art Torres, investigated available office space in San Francisco, South San Francisco, Oakland and Emeryville. Although Senator Torres worked diligently with the City and County of San Francisco to identify suitable office space at a reasonable price, the demand for commercial real estate outstripped the supply and the available spaces were either prohibitively expensive, did not meet CIRM’s needs, or both. As a result, CIRM shifted its focus to South San Francisco and the East Bay, while continuing to seek new opportunities in San Francisco. “South San Francisco and the East Bay each offered substantially cheaper options, although rents are escalating quickly in these areas as well as result of the technology boom in the Bay Area. After exploring the disruption that would be caused by moving to either location, including commute times and cost and access to public transportation, the CIRM team determined that the East Bay offered the best alternative. Ultimately, CIRM selected Oakland as its new headquarters. CIRM’s new offices are a short walk from BART and the City of Oakland has agreed to offer discounted parking to those employees who choose to drive. 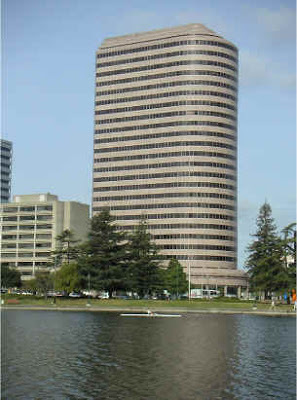 “CIRM executed a lease with Divco West to rent office space at 1999 Harrison Street, across from Lake Merritt, where CIRM will be leasing space on the 16th floor (14,411 sq. ft.) and the 15th floor (2,686 sq. ft.). The term for the 16th floor is five years, four months; the term on the 15th floor is three years, four months, with an option to extend by two years to coincide with the term on the 16th floor. This will provide CIRM with the flexibility to reduce its space and rent burden, depending upon the circumstances. “CIRM will pay $3.40 per square foot the first year, which will cost CIRM $58,129.80 per month. CIRM will pay no rent on the 16th floor for the first four months of its lease, saving CIRM $195,989.60. As a result, CIRM will pay a total of $501,569 for the first year of the lease. The rent will escalate three percent per year. “The 16th floor is shell space and requires substantial tenant improvements. Although the 15th floor is already built out, it also requires improvements in order to accommodate CIRM’s needs. In order to get the best pricing in light of the booming commercial real estate market and the demand for commercial construction contractors and subcontractors, CIRM ensured that the landlord competitively bid the project, which will cost approximately $1,719,820 in total. The landlord has agreed to pay $891,520 towards these improvements; CIRM will be responsible for approximately $828,300. CIRM plans to use donated funds to pay its share of the tenant improvement costs. “CIRM will also incur several one-time costs relating to the move, including costs for architectural and engineering services, cabling, AV, project management, security, moving, signage and furniture. These items, and the estimated cost, are set forth below. 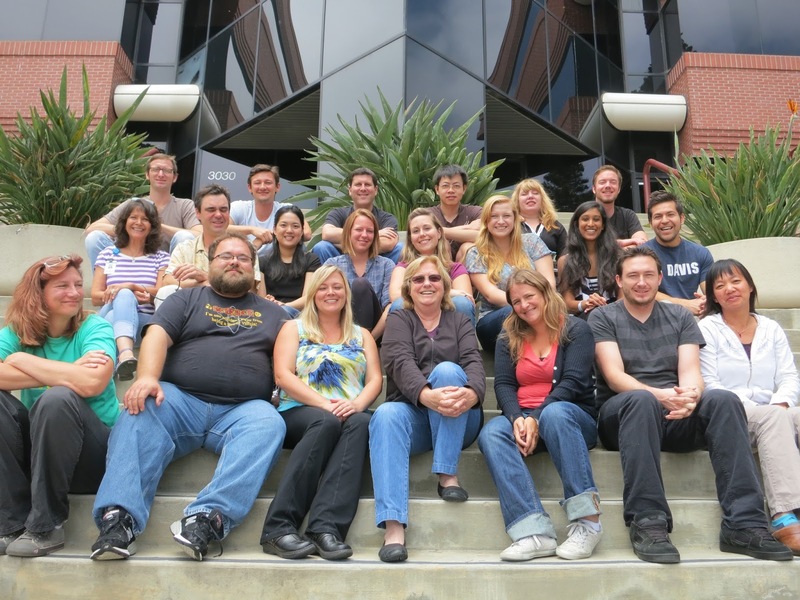 “CIRM is downsizing from almost 20,000 square feet to approximately 17,000 square feet. “CIRM currently has 39 private offices; the new space has 12 private offices, along with work stations and collaborative spaces. The existing private office furniture cannot be re-configured to fit in work stations and is not suitable for the new space. “The cost of disassembling, moving and rebuilding the furniture would be significant; based on prior experience, CIRM’s Finance Director, Chila Silva-Martin, estimates that this cost would be approximately two-thirds of the cost of obtaining new furniture. “The furniture is ten years old and is not ergonomically designed. “CIRM utilized the State’s pre-negotiated contract (California Multiple Awards Schedule) for its furniture vendor, All-Steel, realizing savings of between 70-100% for the various items of furniture it has purchased. “Although CIRM will incur some one-time costs as a result of its relocation, we believe that the space is better designed to facilitate the CIRM team’s execution of CIRM 2.0 and beyond, and CIRM will realize more than $2 million in savings over the course of the lease compared to the costs of remaining in its current space. “Based on the latest information provided to CIRM by the Department of General Services, rents for comparable office space of 10,000 square feet or more near CIRM’s current location ranged from $79 to $86 per square foot. Indeed, even at $75 per square foot for our current space, in the first year alone, CIRM will save approximately $1 million in rent ($501,569 in Oakland compared to approximately $1.5 million (19,500 sq. ft. x $75). “Over the next five years and four months, CIRM would pay approximately $8 million to remain in its current office space. The costs for rent in Oakland will be approximately $3.975 million (assuming CIRM occupies the entire premises, including the 15th floor, for the full term). Thus, even with CIRM bearing some of the costs of tenant improvements and other one-time relocation expenses, CIRM will realize substantial savings from the move and it will occupy space that is better designed to achieve the agency’s mission.